The game sounded like an old LP with a lot of scratches and missed some sounds. 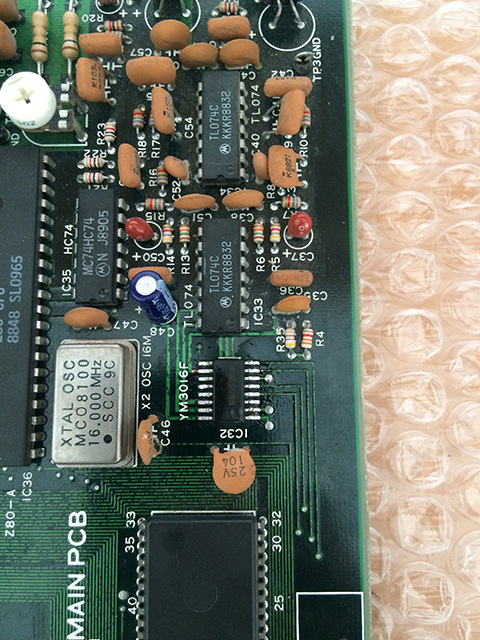 On this board, the YM2610 handle FM synthesis and PCM samples. Given the fact that it is very difficult that the sound chip will fail, I started to probe the smd stereo DAC YM3016. I could hear the same cracked sound coming out and I was sure that changing it would fix the issues. I found a donor board and soldered a new DAC. Retested the pcb and same problems. At this time I was quite sure that the sound chip itself was broken. Suddendly I remembered the most obvious thing to test first: the sound rom C43-01! 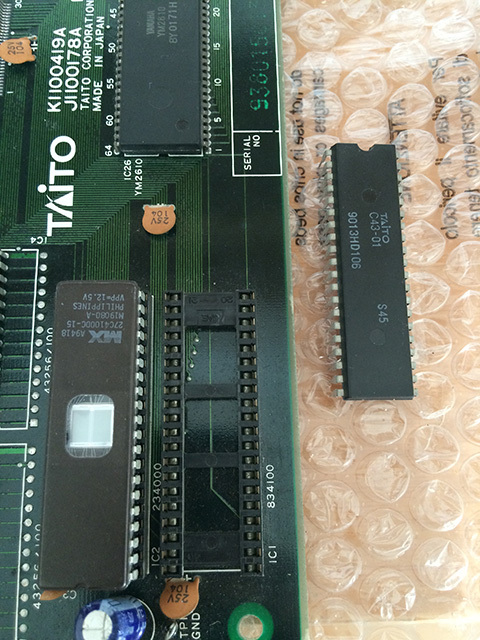 It was a maskrom….marked Taito….they had the most unreliable supplier ever. In the past, I found many Taito maskroms which caused gfx faults because of internal faults. After cheking the maskrom on my eprom programmer one pin was not making contact and it was clear that is was an internal break. Burning a 4mbit eprom with maskrom pinout (like a 27c4100) restored the sound.